Upgrade one? Nah. Upgrade 'em all! 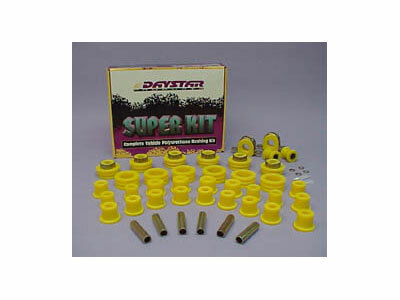 Daystar Kits include all the bushings they make for your vehicle. Daystar bushings are made of polyurethane, a firmer, more durable bushing than the O.E. rubber. 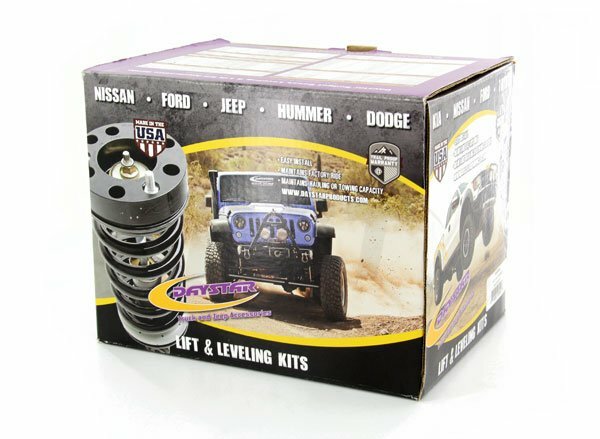 Not only does this increase the longevity of the bushing, but gives the suspension a boost in handling performance. With a firmer bushing, there will be a slight increase in NVH (noise, vibration and harshness), but most drivers prefer the boost in performance in spite of that. 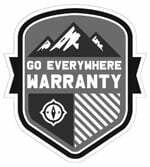 Replacing the entirety of your suspension bushings maximizes your handling and ensures it stays that way for a long time.